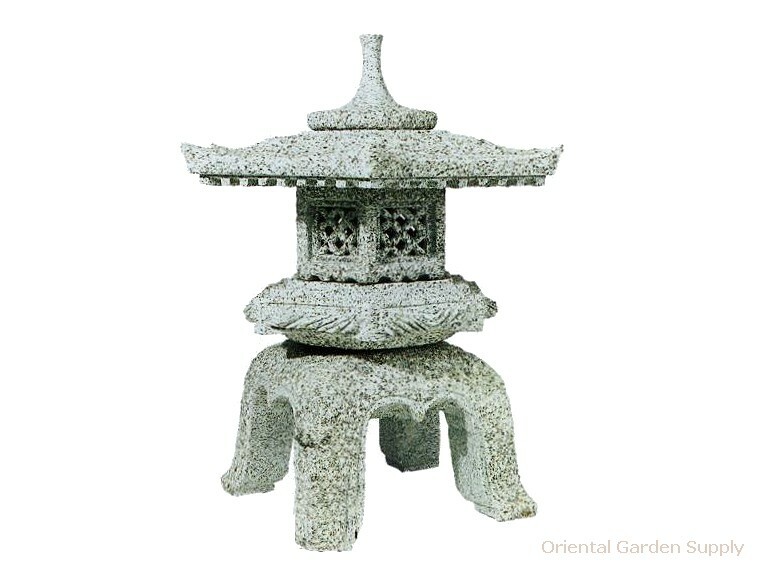 Product Information : The Yukimi or snow viewing lantern has a large overhang (sometimes up to 2 meters in length) and a legged base. This type of lantern has been designed specifically to catch the snow on its large roof, which in winter can add to the mysterious beauty of these objects. Also often placed near the water's edge, as the lantern reflects its light onto the water. Drilled for electric.